Let us introduce you to Joreels, the newly founded live dealer casino that everybody is talking about. Joreels opened its doors in 2017 and offers the experience of playing under the Evolution Live Casino software, with over 11 Roulette tables, 30 Blackjack tables, 5 Baccarat tables and other old classics such as Caribbean Stud, Three Card Poker, Casino Hold’em and Ultimate Texas Hold’em at Joreels. Joreels is owned by MT Securetrade Limited and is regulated by two different jurisdictions, the Malta Gaming Authorities and the UK Gambling Commission. Making this an extremely safe place to play your favourite live games. This casino offers one of the leaders in live gaming across the globe, Evolution Gaming. As we mentioned before you have over 50 different live environment tables to play in with dealers you can interact with at any point during your game. So, as you can see, its totally possible to sit with real live dealers from the comfort of your home. This is thanks to the technological advances of Evolution Gaming which offers the best tables. This is also true of its Immersive Roulette, its blackjack table with two hosts, Blackjack Party and its Baccarat Squeeze with HD images captured by 17 cameras. Superb traditional gaming tables are available on the internet and you are both a spectator and a player in what’s going on at the tables because you’ll feel that you’re in a real casino while you’re sitting calmly in your own laptop or mobile. A leader in live games, Joreels is aimed at all types of players both beginners and experienced. With its live gaming experience built up, Joreels is now a major player in this sector. 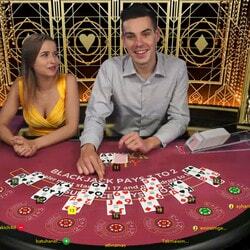 Even though the player isn’t physically present in the real casino, the game goes on exactly as if he/she is because the wagering, the interaction with the dealers and the results come live from the casino. Joreels have the perfect mix and selection when it comes to the technology behind the machines and here you will find all the most popular 3D slot machines from the likes of NYX Gaming, Netent, Microgaming, Play N Go, Yggdrasil, Quickspin, Red Tiger, Genii & Evolution Gaming. With this level of choice for your online slots we feel you cant go wrong at Joreels because they have the very best of them covered. There are a total of 700 games between slot games and live games. For new players, Joreels offer to double your money with a 100% bonus upon first deposit (Min deposit £10) and up to 100 euros, in addition to that there is a reward of 50 free spins after depositing. If you deposit a second time, you will receive a 50% redeposit bonus up to 100 euros. There is also a 5% weekly cashback and if you are looking to become a VIP player you are entitled to 10% cashback per week. Poland, Ukraine, Russian Federation, Belarus, Bulgaria, Cyprus, Croatia, Czech Republic, Estonia, Slovakia, Slovenia, Serbia, Latvia, Lithuania, Macedonia, Moldova, Bosnia and Herzegovina, Albania, Hungary and Romania. This casinos offers several payment providers for their players. Visa, Mastercard, Trustly, Skrill, Neteller, Paysafe, Simpler, Bank Transfer, Entercash, EcoPayz, iDeal, Instadebit, P24, Poli and Sofort are all the options to either deposit or withdrawal from your account. Fees will vary from different methods as well as minimums and maximums. Joreels Casino with its live dealer gaming tables filmed by webcams is quite simply the best live casino. The tables in studios or in a real land based casino in Malta come from the best software developers. Over time, this live casino has diversified by considerably increasing its range of slot machines. Joreels Casino has made its mark in the world of iGaming by equipping itself with the best live casino and slot machine software. Joreels is without contest one of the live casinos that we recommend most for its range of live dealer table games direct from the land based casino as well as a broad range of slot machines from multiple gaming platforms that blows most of the competition away.